It is believed that PCP, ketamine, and DXM and other dissociative drugs act by disrupting the chemical glutamate throughout the brain. According to the National Institute on Drug Abuse research, glutamate affects the person's cognition functions, emotions, and perception of pain. Dissociative drugs also alter the actions of dopamine, a neurotransmitter that produces the feeling of euphoria associated with drug abuse. While also classified as a dissociative drug, salvia divinorum affects the brain differently. It works by activating the kappa opioid receptor on nerve cells. This is a different set of receptors from the ones that are activated by opiates like morphine and heroin. Users of dissociative drugs report visual and auditory distortions and a sense of floating. They also report feelings of dissociation or the feeling of being detached from reality. Users also report feelings of anxiety, impaired motor function, and memory loss. Some report body tremors and numbness. The intensity of these effects can be related to the amount of the drug the user takes. Like the effects of hallucinogens, the effects of dissociative drugs are also unpredictable. Usually, the effects of dissociative drugs begin within minutes of ingestion and last for several hours. However, some users have reported feeling the effects for days after ingestion. Here is a more comprehensive list of the short-term effects of dissociative drugs, provided by the NIDA. Each individual dissociative drug can have its own distinct effects in addition to the above general effects. PCP at moderate to high doses can cause seizures or severe muscle contractions. Users can become aggressive or violent and can experience psychotic symptoms similar to schizophrenia. Ketamine, at moderate to high doses can cause sedation, immobility, and amnesia. Some users report a near-death experience known as a "K-hole," in which they have feelings of almost complete sensory detachment. Salvia users report emotional mood swings ranging from sadness to uncontrolled laughter. These effects are extremely intense, but last only a short time (up to 30 minutes usually). Although safe and effective when taken as directed as a cough suppressant, DXM (dextromethorphan) can produce effects similar to PCP and ketamine when taken in excessive doses (200 to 1,500 milligrams). Because DXM is most often abused in the form of cough syrup, which can also contain antihistamines, effects of its abuse can also include risks of respiratory distress, seizures, and increased heart rate. Some reported long-term effects of dissociative drug use include memory loss, speech difficulties, depression, suicidal thoughts, anxiety, and social withdrawal. Some of these reportedly can persist for a year or even more after use of the drugs stop. Also, users can develop a tolerance for dissociative drugs and when chronic users do stop, they can experience withdrawal symptoms that include craving, headaches, and sweating. 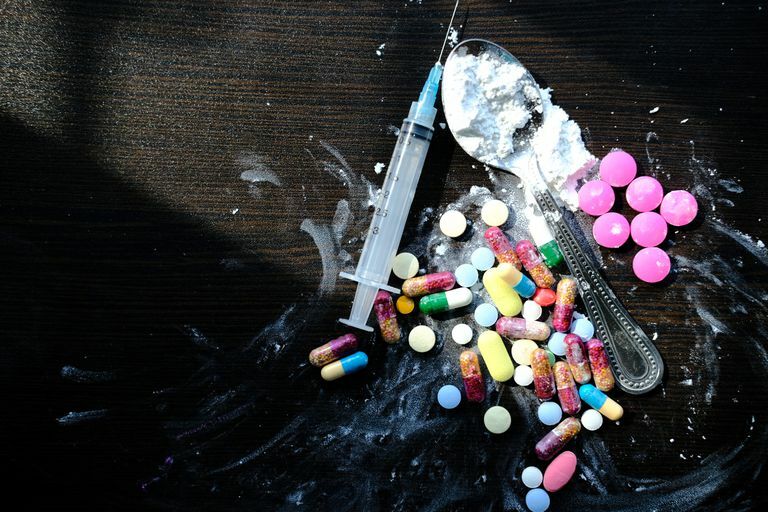 According to the National Institute on Drug Abuse, the long-term effects of most dissociative drugs have not yet been systematically investigated by researchers. Therefore, the full extent of the long-term effects of this class of drugs is still not fully understood. National Institute on Drug Abuse. "Hallucinogens and Dissociative Drugs." Research Report Series. Updated January 2014.